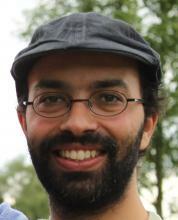 Dr. Gualter Barbas Baptista is an activist-researcher and project manager at Transition Town Witzenhausen, Förderverein Wachstumswende and Research & Degrowth. He is currently coordinating the EU education project “GROWL – Learning More, Growing Less” and organising the Fourth International Conference on Degrowth for Ecological Sustainability and Social Equity. He holds a degree in Environmental Engineering and a doctoral degree in Environmental Sciences, specialised in Ecological Economics and Political Ecology. He has been engaged in civil society movements on environment, climate justice, food and economics since over 15 years. He teaches at the University of Kassel on the limits of growth and degrowth perspectives for agriculture and is a member of the Editorial board of the journal “Ecología Política”. His current focus of research and action are on the economics of post-growth, education, commons and peer production, community building, and re-localization of food systems.